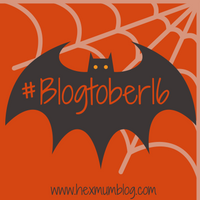 This is definitely the easiest of all the Blogtober posts. The meaning behind my blog name, Emma and Family, is………. This blog is about me, Emma and my little family!! I thought about going for something referring specifically to Harrison but I plan to have more children and I want them to be included in the blog name. I know it isn’t the most imaginative name out but I hope it is at least a bit memorable being so simple.